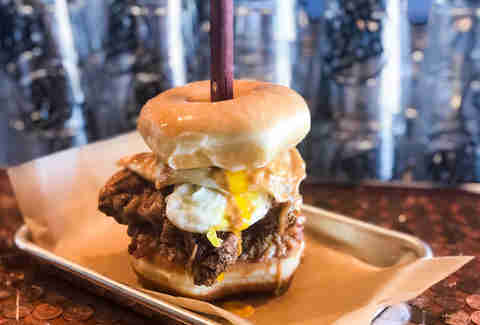 After a relatively slow 2017 for Cleveland’s expanding restaurant scene, new openings came back with a vengeance in 2018. Of course, being spoiled for choice is a good problem for hungry diners to have, especially when those choices are so damn delicious. Cleveland’s enthusiastic foodies can bop all over town to sample new and diverse offerings, from a casual lunch of deli sandwiches or crepes to a pricey dinner of surf and turf paired with a bottle of fancy French wine. Here are our most-loved places to open this year. 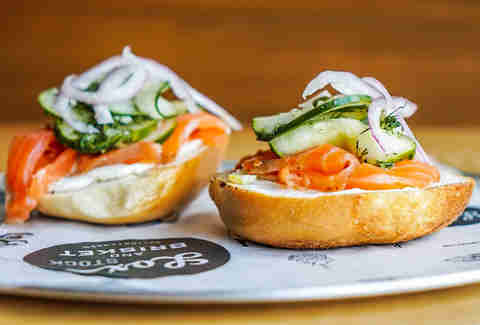 There are few lunches as soul-satisfying (and nap-inducing) as a hearty, homemade sandwich from a delicatessen -- and diners can snag just that at the cleverly named Lox, Stock and Brisket, a contemporary take on the traditional Jewish deli. Chef Anthony Zappola spent years working for Tom Colicchio before opening his own critically-acclaimed restaurant, the Rice Shop, in Las Vegas. We couldn’t be happier Zappola returned home to open this east side spot. Don’t miss the Lincoln Park, featuring buttermilk chicken schnitzel, bread and butter pickle slaw, and hot sauce aioli, or the Matzo ball soup, some of the best to be found anywhere in town. Whether you need a shot of caffeine, some sweet or savory sustenance, or simply want to peruse little treasures, you can find it all at Brewella’s Coffee, Crepes and Collectibles. This absolutely adorable shop pairs top-notch coffees with a variety of made-to-order crepes, such as tomato, mozzarella, and basil; as well as chocolate, peanut butter, and banana. While you dine, you can also explore this shop’s totally tempting trinkets, including vintage jewelry, art, and ceramics. It’s almost as charming as the city of Lakewood itself. As charming as Berea really is, there’s been a shortage of quality dining options for residents and Baldwin Wallace students alike. Thankfully, Boss ChickNBeer is helping to breathe some new life into this quaint college town by serving up excellent chicken wings, flavor-packed sides, and a rotating selection of local brews. The menu is simple: grab an order of wings or tenders (baked, brined, and fried), and pair them with one (or more) exceptional house-made dipping sauces. While you're at it, add a side like fries (try them with their lemon-dill ranch dressing) or a salt roasted sweet potato. Beer or no beer, be sure to ask for for a glass of sweet or unsweet tea -- which, happily, is always free. From tacos to hot dogs, Cleveland (and the rest of the country) has seen its fair share of create-your-own concept restaurants; perfect for some, though most of us can agree that the mix and matching of ingredients is often best left in the hands of the professionals. 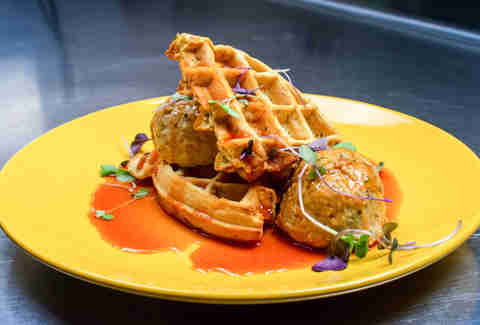 Luckily, the owners of Cork & Cleaver and Porco Lounge put their heads together to introduce this delicious meatball and craft cocktail restaurant. 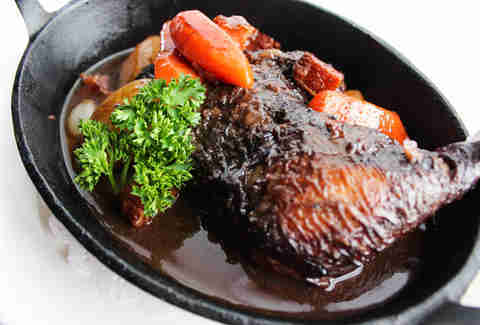 Diners can craft their own meal, pairing options such as beef or chicken balls, pomodoro or maple hot sauce, and a spaghetti or waffle side. If you're not feeling creative, leave it up to the experts and indulge in one of their go-tos such as The Curtis, featuring lamb meatballs, tzatziki sauce, and panzanella salad. In keeping with the Greek theme, be sure to start your meal with their outstanding marinated olives. We already know and love the mission of Edwin’s Leadership & Restaurant Institute in Shaker Heights. Now, chef and owner Brandon Chrostowski is expanding his good work -- and excellent French food -- with Medina. The mission of Sérénité is to instill leadership skills in men and women recovering from drug and alcohol addiction through an education in the culinary arts. Better yet, the menu can go head-to-head with any of Cleveland’s top restaurants. Dishes such as duck confit with wild mushroom risotto and a deluxe selection of “le boeuf” (served with or without a six ounce lobster tail) make this new restaurant very worthy of a trip down south. Hospital food typically gets a bad rap, and we totally get it -- most of the time the eats are mediocre at best. Thankfully, nationally-known chef Jose Andres has teamed up with Cleveland Clinic to introduce his Beefsteak concept in their shiny new Crile Food Emporium. 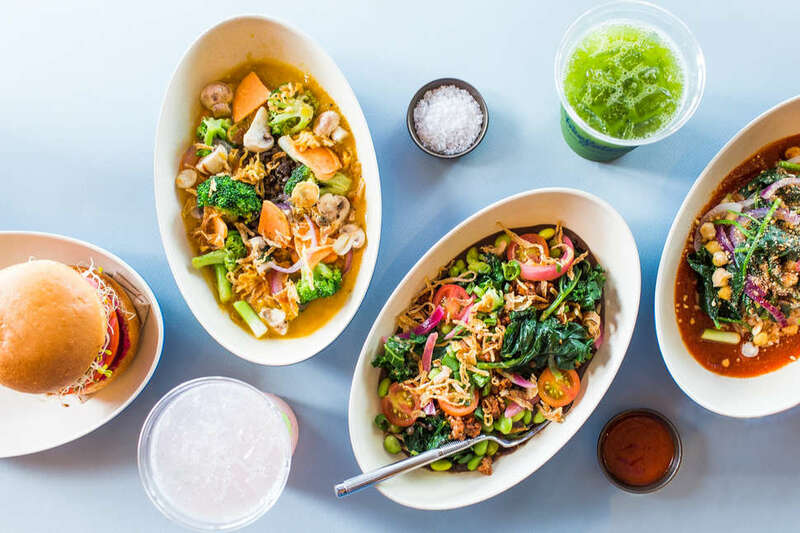 Featuring a veggie-centric menu (“Beefsteak” is a nod to beefsteak tomatoes), Andres’ offerings are fresh, flavor-packed and healthy to boot. Sink your teeth into a beefsteak tomato “burger,” or opt for one of their bowls, such as the Caulipower, packed with greens, onion, curried roasted cauliflower, mushrooms, mozzarella, fig balsamic, cherry tomato, chickpea salad, sprouts, and corn nuts. This might be the one time you actually want to visit a hospital. Apparently it’s the year of the delicatessen, as Larder also opened its doors in 2018 with some seriously scrumptious deli sandwiches and sides. Located in the historic Ohio City Firehouse, this Hingetown spot features a short but oh-so-sweet menu of favorites, including one outstanding pastrami sandwich. Be sure to pair your order with some of the restaurant’s perfectly creamy potato salad, and absolutely do. not. miss. 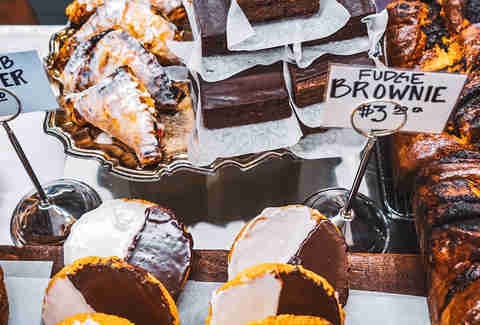 their bakery selection, featuring incredible pastries and sweets such as bread pudding and big-as-your-face black and white cookies. Beth Phillips Synk is a Cleveland-area writer who spent most of 2018 pregnant, and therefore craving (and eating) absolutely everything on this list.